First off, I would like to give a big thank you to The Gothic Theatre for the shows they book. I’m always impressed with the performances, whether it is a local music show, national act, or a film/movie premiere. The capacity it holds is an amazing site to see when the house is packed. The Gothic Theatre was named best live music venue in Denver by 5280 Magazine’s Top of the Town 2011, and it’s easy to see why. Not only is the ambiance outstanding, so are the familiar staff faces. I’m always intrigued by the artistic cuts and lines of the architecture,the rounded walls and wonderful recessed coves, and the mural paintings on the ceiling, all mixed with a dedicated staff. It is truly one of a kind. In 1998, the Gothic was reborn to its glorious state which it is now, when two friends with love music and dreams, purchased the building out of bankruptcy and saved it from the wrecking ball. The new owners remodeled and rebuilt the theatre from the foundation to the roof, retaining the Art deco accents, created a wrap-around balcony, refurbished original marquee, and added a brand-new state of the art sound and light system; transforming the theatre into one of the premier music venues in the world. 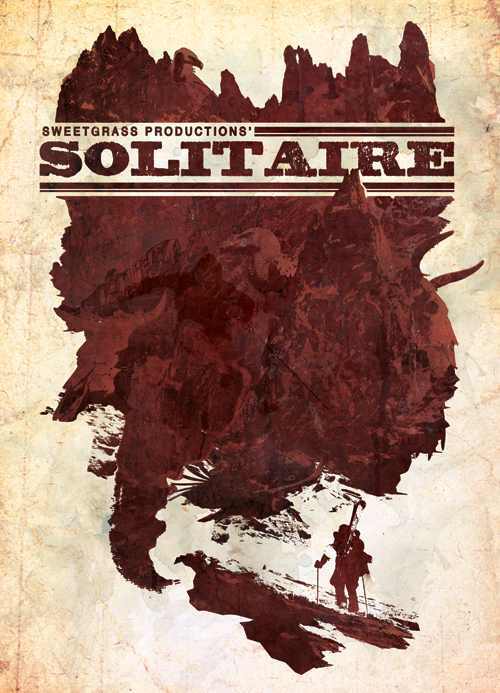 Once again, I was able to revel in the ambiance of the Gothic Theatre Thursday, September 15, 2011 for the film debut of Solitaire; a back country skiing, snowboarding, and telemark film from Sweetgrass Productions. The house was packed, sold-out to be exact, and once again I was greeted by some of the familiar faces at the door and bar. Narrated in Spanish with English subtitles, Solitaire follows an anonymous team of back country skiers and snowboarders across the rugged South American landscape of the AndesMountains. The stunning imagery was broken by the movie’s minimalist narration, a moody and amplifying Spanish reading of Joseph Conrad’s novella, “Heart of Darkness.” This seemed to draw the audience in deeper to the story that was unfolding before their eyes. As the title implies, Solitaire illustrates the truth that adventure lays not just in the destination, but through the journey of each individual as well. Though surrounded by 999 fellow snow enthusiasts, I felt secluded and felt the solitary treks of the individuals in the film resonate through me as I silently watched each scene play into the next. The audience held court in silence as they watched the breath-taking footage from the remote areas of the Andes Mountains. The only sounds from the audience were of exalted cheers as they let loose as an awe-inspiring shot of a skier flying over a cornice and landing deep in powder played upon the screen; or when a snowboarder cut fresh, tight lines between rocks on super steep mountains that jut up from Mother Earth. With the minimal narration, I was left in suspense throughout the entirety of the film. The imagery was spectacular. The length was great. And the music blended beautifully with everything else. I truly can say I was impressed! I can’t wait to watch the film again. The one critique that I, along with others that were standing in front of me, was that the subtitles were a little small and did not stay on the screen long enough to read all of it, especially when having to bob and weave to look over others shoulders and hair. All in all, Solitaire was a beautiful, breath-taking film, for lack of better words. Most ski and snowboard premieres are packed full of music covered segments” portraying energetic skiing and riding that amps you up for the new season. Solitaire managed to amp me up, but in a whole new way. It has made me think deeper into why else I snowboard, and a lot of that is solitary confinement in the beauty that Mother Nature holds for us. The Gothic Theatre was the best venue to premiere this film, and I am glad to have been a part of it.